Today is Internet Safety Day and while it brings awareness about important issues regarding online and digital safety, these are topics that should be on our radar each and every day. Each day brings new technology innovations that we rejoice over. Smaller, lighter devices with better cameras, more storage, and the ability to download new apps that provide a new kind of convenience and connectivity to our loved ones that we didn’t know we needed but now can’t imagine life without. Indeed, these are things worth celebrating but as wonderful as technology is, it also has its drawbacks, drawbacks that can be dangerous for us and our kids. We’ve seen the headlines. Headlines like Near Virginia Tech, a 13 year-old’s online fantasies turn fatal and More and More Rapes Are Being Reported by People Who Met Their Attacker on Dating Apps. Shocking, horrifying, and sad because these could be our kids and their friends. No one ever said parenting in the digital age was easy. It’s time to stop throwing up our hands and burying our heads in the sand because we feel like technology is overwhelming. Instead, we need to take the time to empower ourselves by learning about the technology our kids are using and joining them in their use of these apps, even if we don’t love using them ourselves. Knowledge is power and being informed empowers us to make good decisions about technology in our homes and allows us to keep an eye on what our kids, and their friends, are doing. As a mom of a middle school aged daughter, I know Emily and her smartphone wielding friends are as quick to adopt apps as they are to embrace the latest fashion trends. They compare apps on the bus, downloading the newest ones on the road, and are following their friends even before they walk through the door. Today Instagram is all the rage while some dabble in Snapchat and KIK but tomorrow they could be on to something new, something you’ve never heard of but has been adopted by the masses about as quickly as wildfire spreads. How does a parent keep up with the technology landscape and new apps? Subscribe to email newsletters from Common Sense Media. It’s no secret that this is a longtime favorite of mine. 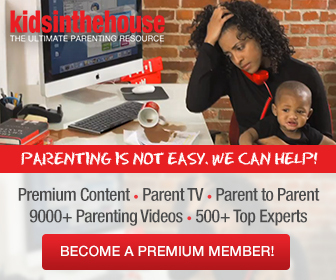 You see me mention it lots because it’s a trusted source that always presents unbiased and highly educational information on movies, shows, apps, games, and does a fantastic job of keeping parents in the know. Start reading Mashable, one of my daily reads. Called the leading source for news, information & resources for the Connected Generation, Mashable’s site may feature more than you want to know but their daily email newsletter puts hot topics front and center or you can visit their social media and tech tabs. A conversation about being safe online and when using digital devices can happen at any age and is important to have in an age appropriate way. The conversations you’ll have with teens and tweens differs greatly from the ones you’ll have with preschoolers and toddlers but is just as important. Here’s a helpful guide about the things you should be talking about for kids of different ages and resources to get you started. As a member of the YouTube Kids Parents Panel, I was asked to create a playlist of videos about cybersafety to teach this age group about being digitally safe. My 27 picks feature fun songs and animated shorts with favorite characters that are full of tips that teach toddlers and preschoolers to be safe when on the internet and using digital devices. You can find the playlist under the Education tab on the YouTube Kids app for your iOS or Android device or watch it here. In addition to using online messaging as part of homework, elementary ages seem to be all about YouTube these days. With Minecraft being still so hot for this age group, boys and girls alike are spending lots of time playing Minecraft. When they’re not playing, they’re on YouTube learning about Minecraft or making Minecraft videos. If your elementary aged child is all about videos, teach them how to make a great video by starting with the kid-friend and safe site, KidzVuz. Created by moms Rebecca Levey and Nancy Friedman, KidzVuz puts kids’ safety first. Why is it so perfect? I wrote an entire post about Why KidzVuz is Perfect for Kids Wanting to Make Their Own Videos. It’s a site that gets my Tech Savvy Seal of Approval and one that Emily has been using for years. Whether you’re creating videos on KidzVuz learning by doing is important, share the Digital Compass game with your elementary schooler. This free educational game is available online or via an app for iOS and Android and was developed in partnership with Common Sense Media’s education division. It’s designed for kids to explore digital dilemmas and experience the results associated with good (and not-so-good) decisions, and try out possible solutions through stories and mini-games without risking their real-world reputations. How to take care of your phone- storing it in secure places, keeping it charged, etc. Your child’s data plan- how many minutes of calling, number of texts, or data they have each month and what this really means. Figure out who is responsible for paying for overages. Social media apps- Instagram, Snapchat, and KIK are the big 3 for middle schoolers at the moment but there are many other private messaging apps out there that tweens are flocking to. As a parent, draw your line in the sand about your expectations regarding these apps and don’t feel pressured by your child to adopt them but take some time to read about them or try them out yourself. If you are ready to let your child use a service like Instagram, make sure you read my Important Conversations to Have with Your Kids About Instagram post and be sure they know that there can be a very public side to their seemingly private account. Also set aside a few minutes with your tween to take a look at The Smart Talk. Choosing among the 7 topics (safety and privacy, screen time, social media, apps and downloads, texting and calling, reputation and respect, and online videos and cameras) will inspire a conversation to ensure you’re both on the same page and when you’re done, you’ll have a personalized agreement based on the topics that you explored through the site. Another great resources is AT&T’s Especially for Youth that explains the huge advantages and disadvantages to being connected and risks and rewards associated with them in a way that makes sense for this age group. Even if they’re not driving yet, they will be and now is the time to talk about texting and driving and other distractions behind the wheel. AT&T’s It Can Wait: Let’s Drive simulator is a free tool that recreates the impactful experience of being distracted using virtual reality. It’s one of the best ways we can educate a new generation of kids about the importance of maintaining focus on the road when they get in the car. Even though it’s cliché, it does take a village so talk to yours. Have conversation with other parents on the soccer field, during school drop off or pickup, at school fundraisers, or over a glass of wine. You’ll learn whose kids are on which platforms, which parents are really active on social media, and you can make a pact to join forces to keep an eye on the kids in the village just to make sure everyone is safe. Yes, technology changes quickly. Yes, it can feel very overwhelming but it’s time to start learning about the technology tools and apps that are out there in order to be empowered parents who can meet our kids where they are. It’s not good enough to call ourselves luddites, acknowledge that we’re not good at it, say that we’re too busy to learn, and accept the fact that our kids know more than we do. We need to step it up and learn for the benefit of our kids, our families, and our communities not just on Internet Safety Day but during every day of the year. Thank you for writing this. I am very concerned about my 10 year old son. And while his school actually had an assembly about it, this was important to talk to him about. I found out he had been chatting in Minecraft, which I didn’t know there was a chat function. We monitored him already, but I need to learn the games he plays. I’d like to add something else for boys who play connected games (like Clash of Clans or Terraria, etc.). Sit next to them when they play. Last night, I saw my son was using the chat function. I grabbed his iPad, read his chats (all was fine) and told him that wasn’t a feature he needed to be using. We talk all the time about internet safety! YES! Thank you for mentioning this! I think it’s so important to sit down together and have kids show you their favorite game, especially if it’s one that you don’t know much about. Even if you do, it’s great to let them be the expert especially when you make great discoveries about features such as chat functions with strangers! this is so important for parents to know! !